8734 Features: -Product Care: Hand wash with mild detergent, then dry and store. -Blade material: High carbon stainless steel. 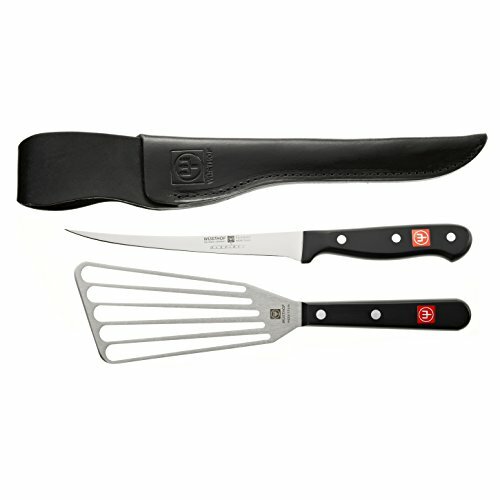 -Pieces Included: Fillet knife and 2 piece fry set. Handle Color: -Black. Blade Material: -High carbon stainless steel. Handle Material: -Plastic. Number of Items Included: -3. Pieces Included: -Fillet knife. Dimensions: Overall Product Weight: -1 lbs.